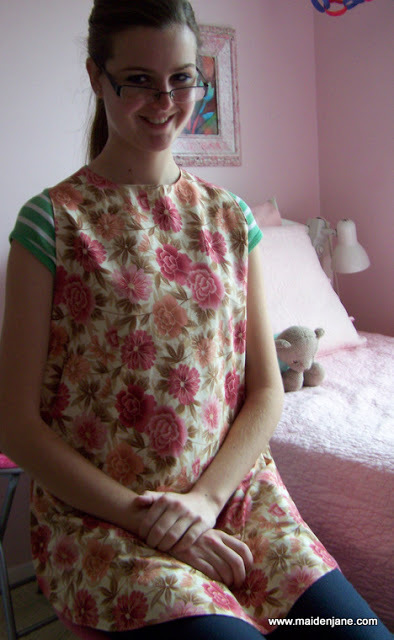 My dear nieces asked me to sew an adult bib for their nana. She has tremors and has a hard time feeding herself. To protect her clothes she uses a bib. The girls bought some pretty fabrics and ask me to make the bibs. We wanted to create a more of an apron feeling, so I shaped the bottom of the bib like my aprons. It is intended to gently drape over the legs. The girls have reported that Nana loves them! I drew up a pattern that you can download here. I welcome any feedback/problems/photos you may have if you make one! Jane, I bet that she loves these. Very smart, creative idea. As a previous Occupational Therapist, this is a great idea! Beautiful! As a “retired” nurse, I think it would make anyone who needed it, so much happier ;)! Such an adorable idea. I think using seasonal prints would really make someone happy. Around holiday time it would really make someone feel special. You are a very special person. I had a booth at a craft show a couple of weeks ago. I make and sell table runners am infinity scarves. My most popular table runner is a go big red nebradks football fabric. A lady who identified herself as a nursing home resident asked why people didn’t make adult bibs in that msterisl. Told her I could do that! I made it and used a black Terry cloth on the back and delivered before the next game . She was so excited! That’s great to hear, Mary! Thank you! ‘ve been saying for years that some of these sewers need to come up with a fashion adult bib. Way to go. I am so excited that you came up withy this. Thank you. I have made similar bib aprons for my Mom (89, Alzheimers, tremors), and recently decided I needed to keep a few in the car (grandchildren for ice cream stops or drive thru). Back to the machine. P.S. 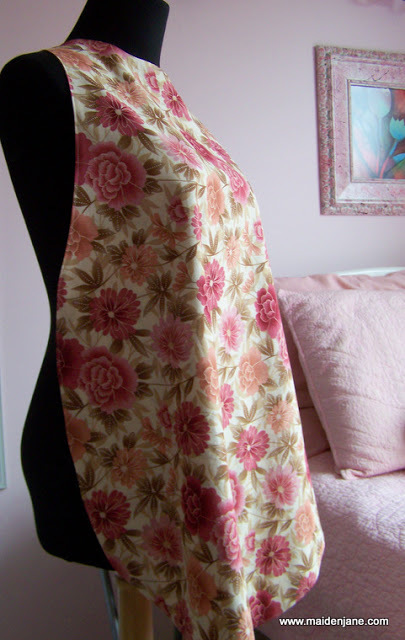 I made my Mom’s aprons out of PUL fabric as it is relatively leak proof. 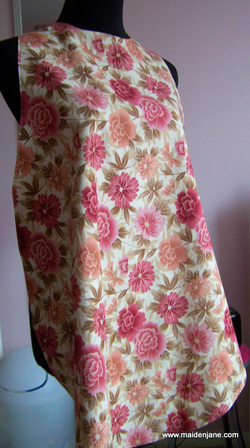 If you add some nice big pockets, they could be useful for kitchen-work, crafting, almost anything that needs an apron. Can these be made up and sold at craft fairs or small online shops? If so, I would be happy to credit the pattern and a link back to you. Thank you. Thank you for this apron, its just what I have been looking for cant wait to get started on them.First one is for my brother in law,who has had a stroke.My sister said its just what she wants for him. Of course I will make it in dark fabric. These are great! Can’t wait to download the pattern. Thanks! Let me know if you have a problem with the download. I made my parents a couple of adult bibs for my down syndrome sister, who spills a lot. My parents and my sister love them! However I used old t-shirts where I left the head opening and cut the bottom 3/4 of shirt. Then I sewed a pretty print to the part that I cut off. It slips over her head. I like your pattern and would like to make her a couple. Oops, I can download the pattern. It pays to read, lol. Thank you for sharing. I saw an apron like this in a coffee shop in Oregon, except that the shoulders crossed over each other in the back. Could you modify this pattern to that design? 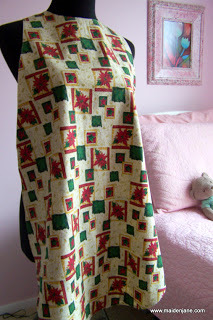 This is great for what it is meant for, but I have been searching high and low for a pattern like the aprons I saw.